Women who return to work after having a baby fall even further behind men in earning power, according to a new report. The study , by the UK-based Institute for Fiscal Studies, found that, on average, women in paid work receive about 18% less per hour than men. That pay gap increases once women become mothers. 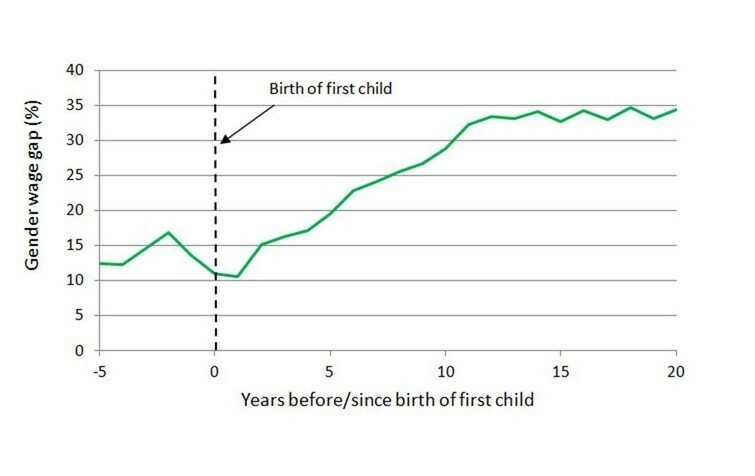 By the 12th year after their first child, the gap has increased to 33%. There are various reasons for this worsening pay gap. It’s partly due to the fact that mothers do reduced hours of paid work. Initially, their hourly pay is not affected by part-time work. However, as a result, they lose out on wage progression. This means that the hourly wages of men (and of women in full-time work) pull further and further ahead. The report also says that mothers miss out on opportunities for promotion to better-paid positions and do not accrue the same valuable experience as men. By 20 years after the birth of their first child, women have, on average, been in paid work for four years less than men and have spent nine years less in paid work of more than 20 hours per week. The gender pay gap is the lowest on record . It was 23% in 2003 and 28% in 1993. However, on closer inspection the figures reveal that this is not the case for mid- and highly educated women, where the gender wage gap is essentially the same as it was 20 years ago. The UK ranks 18th on the World Economic Forum’s Global Gender Gap Index 2015. 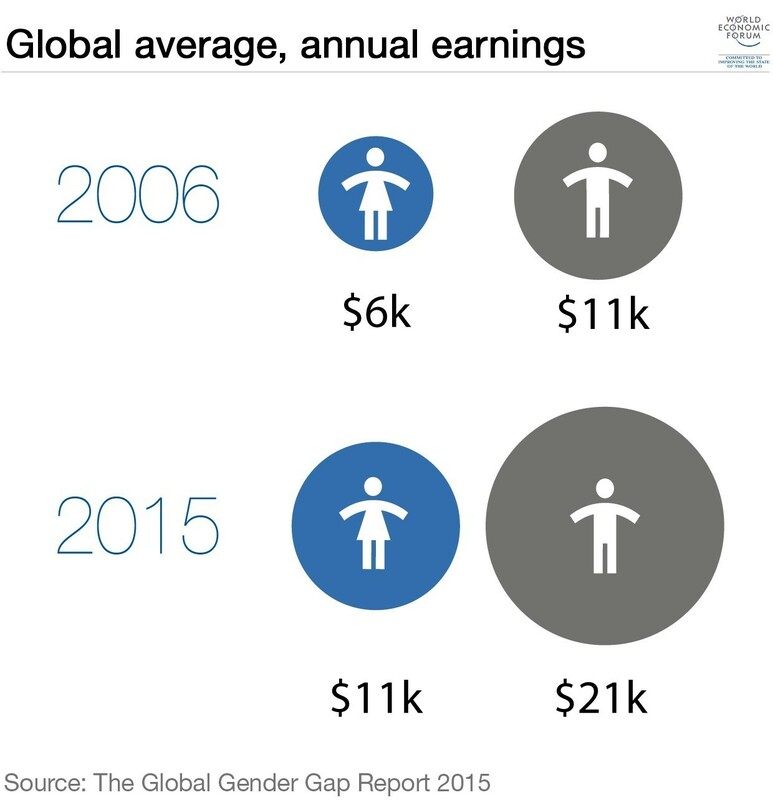 Globally, women are paid on average just above half the average male wage. The report says that since 2006, an extra quarter of a billion women have entered the labour force, yet the annual pay for women only now equals the amount men were earning 10 years ago. Indeed, the only area where parity has been achieved is in university entrance. The worst area is in leadership roles. A study published earlier this year by the National Bureau of Economic Research (NBER) also talks about the motherhood penalty. This research found that women’s career choices are being affected by motherhood and family. “Current research continues to find evidence of a motherhood penalty for women and of a marriage premium for men,” the report notes. Mothers were perceived to be less competent and less committed to work, the report found, and are often offered lower salaries. But that’s not the only reason. According to Melinda Gates , in every part of the world, women spend more time on unpaid work than men do. And when women are busy cleaning and cooking, they have less time for paid work. 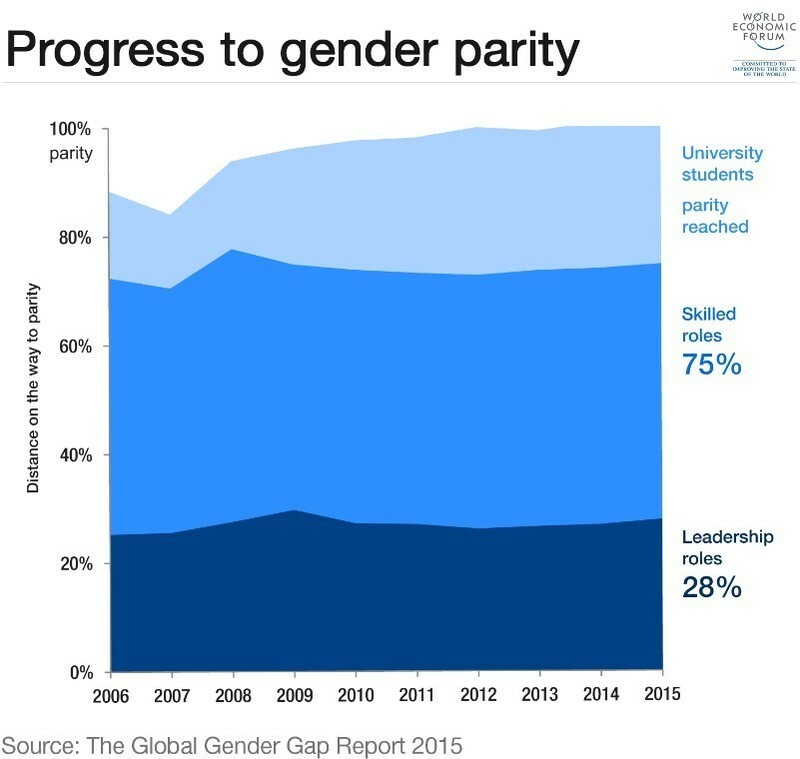 Lack of progress in gender parity is damaging to global economic growth, particularly in areas where women are under-represented in the workplace. In 2017, the UK Government will force all companies with 250 employees or more to publish their gender pay gap information. The idea behind the policy is to shine a light on inequality, thereby speeding up the process of change. If women participated in the economy at the same levels as men, says Melinda Gates , global GDP could increase by 12%.